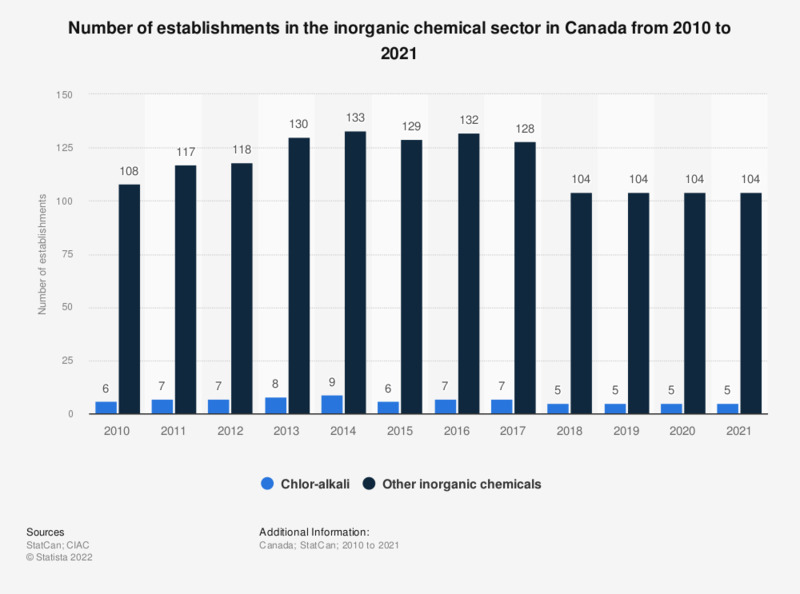 This statistic shows the number of establishments in the Canadian inorganic chemicals sector from 2009 to 2017. In 2017, there were seven establishments in the Canadian alkali and chlorine inorganic chemical industry. The main inorganic chemicals produced in Canada include chlorine, hydrogen, and sulfur. This statistic was assembled using several editions of the annual review.